The DA welcomes the Western Cape Department of Community Safety’s move to pressure WC Police Commissioner Arno Lamoer to act on a SAPS project to issue “green cards” to employees and job-seekers in Worcester. We support the call by the Department for Commissioner Lamoer to put an immediate stop to the green card project, and to conduct a full investigation into the conduct of the local SAPS and Community Policing Forum (CPF) in Worcester. Job-seekers and workers in certain residential areas have been issued with cards bearing their photographs and personal details. It is also reported that people who do not have a green card are treated with suspicion and monitored closely by the CPF. The issuing of these green cards by SAPS has all the hallmarks of the Apartheid-era dompas system. 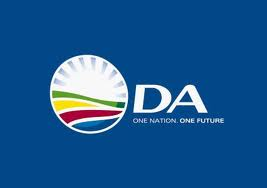 The DA condemns the green card practice in the strongest terms as it is in direct contravention of the Constitution, which ensures and protects citizens’ right to the freedom of movement. This right should not be restricted by unlawful access control to different suburbs and areas in the name of fighting crime. The DA calls on SAPS to put an immediate end to this practice. It is not only deeply discriminatory but also negatively affects employees and job-seekers who are unable to move freely to work or seek employment. Commissioner Lamoer must now stand by his stated commitment to a full investigation conducted by a senior SAPS official.